Mercedes-Benz just unveiled the new A-Class at the 2018 Geneva Motor Show and set a new benchmark in the class. Sportier than ever and with features borrowed from the CLS, the new A-Class has the most luxurious interior in this segment and a range of powerful but also fuel-efficient engines. 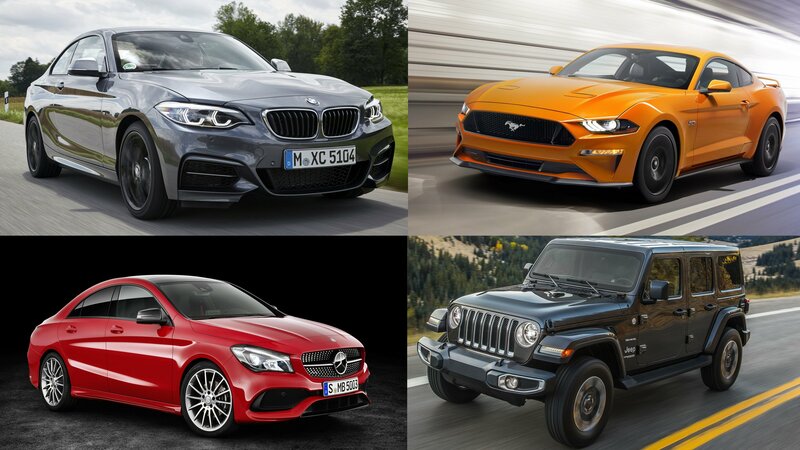 Not surprisingly, the Germans now want to take advantage of the new design and platform by creating another seven models, including a competitor for the BMW X2. Say what you will about Lexus’ penchant for swinging for the fences when it comes to the design of its cars. Some people like them while others don’t. But they draw attention, which, I suppose, is the whole point of it. You’ll likely feel the same about the Lexus UX, which hits dealerships here in the U.S. at the end of the year. When it does, the UX will compete against a number of crossovers, most notably the Mercedes GLA-Class. That said, there’s no better time than today to take a look at the design of both the UX and the GLA-Class to see which one is better. If you’re in the market for a Mercedes GLA this Christmas season, you might want to hold off on that purchase. Despite being produced by an automaker that’s known for its refinement, the GLA has been bestowed by Consumer Reports with the ignominious distinction of being America’s least satisfying car in 2017. The magazine used data from its Annual Owner Satisfaction Survey along with its own testing and reliability ratings to come to this conclusion. It’s not a good look for the GLA, but it’s also far from the only model that made it to CR’s list of 10 least satisfying vehicles in the country. It’s not the kind of list the Mercedes GLA-Class wants to be a part of, but it made it to the top of the list because of a number of worrying characteristics. According to Consumer Reports, the high-riding hatchback suffers from a number of deficiencies, including poor visibility, a bad gearbox, a stiff ride, and a loud interior. It doesn’t get better from there as the GLA was also criticized for being small, cramped, and expensive. Pricing for the crossover starts at $33,400, which is a steep price to pay for a car that has these many warts in it. Read our full review on the 2018 Mercedes GLA-Class. 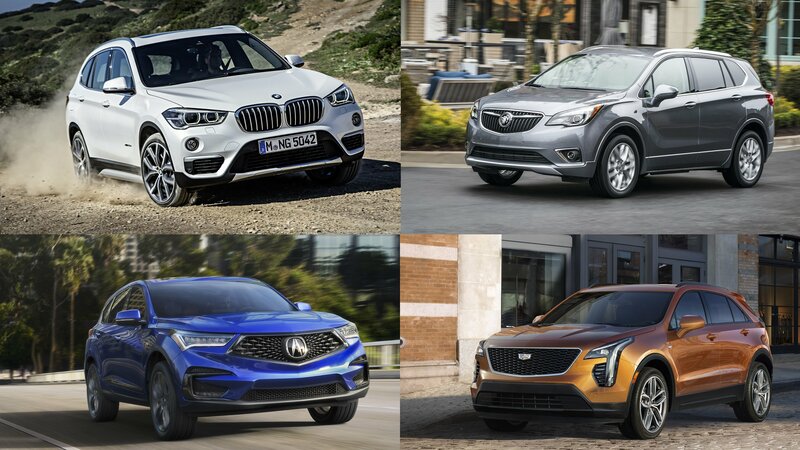 As bad as it gets for the Mercedes GLA-Class, it can at least find solace knowing that it’s not the only crossover/SUV to make it to Consumer Reports’ list of least satisfying cars in the US. 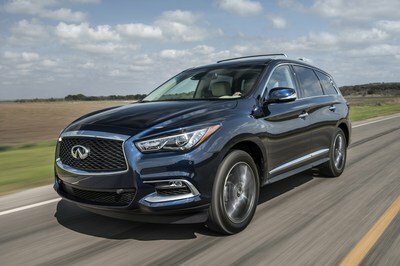 Joining the GLA in this run of misery is the Infiniti QX60, a plush crossover that does have a few positive things going for it, including a spacious and well-appointed interior. Sadly, the that wasn’t enough for the QX60 to gain a positive grade because its rating was torpedoed by what Consumer Reports calls a “so-so” fuel-economy rating and a “mushy” driving experience. 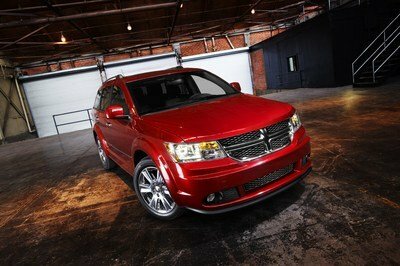 The run of poor crossovers and SUVs continues with the Dodge Journey. While the mid-sizer looks relatively fresh for a model that’s late in its production run, it’s not enough to offset the myriad of issues that it has. According to Consumer Reports, the Journey suffered from a lack of agility in its tests. Its 3.6-liter Pentastar V-6 engine also delivers the worst fuel economy class and it fared about as well as Homer Simpson taking a calculus test in the IIHS small-overlap frontal crash test. It’s a bit disappointing to see the Journey on this list because it does ride well and the interior still has some comfort to it. But there’s always a price to pay for a car as old as the Journey. Turns out, that “price” is a spot on Consumer Reports’ least satisfying cars in America list. 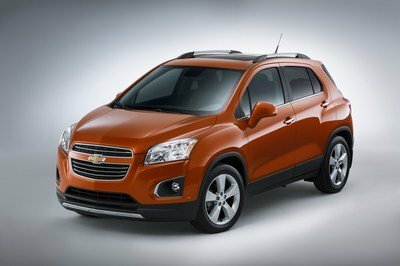 Is it a surprise to see the Chevrolet Trax on this list? The short answer is “no” because the Trax suffers from so many problems that I’m actually surprised it’s not the least of the least in this list (tongue twister!). As much as I want to like the Trax, it suffers from a laundry list of issues, including a 1.4-liter turbo four-cylinder engine that’s neither powerful nor fuel efficient. It can be one or the other and we’d look the other way, but “neither” is bad from the get-go. To make things worse, the Trax’s bite-sized appeal also lends to a cramped interior and a stiff ride that’s not going to do any wonders for the driver and the passengers. There’s an option to get a base model on the cheap, but if you’re getting a “premium” version like the Trax LT AWD, the $26,000 you’ll have to spend for one would be better of used on something like a Subaru Forester. 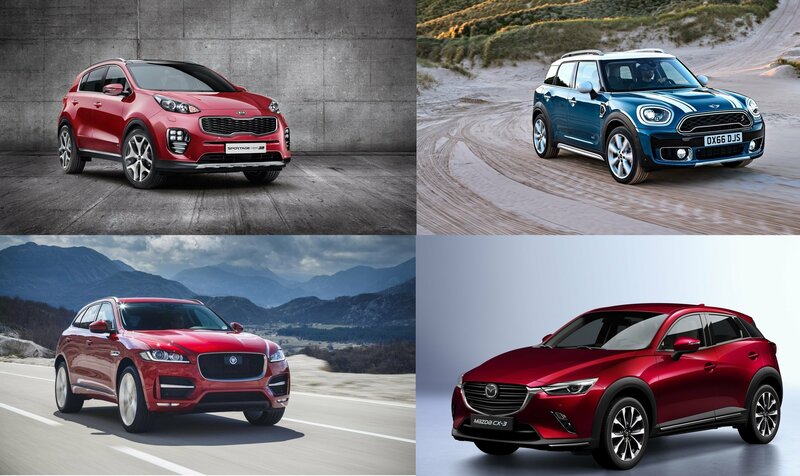 Mercifully, the run of crossovers and SUVs on this last has come to an end. 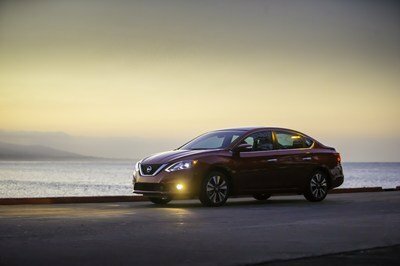 We now turn our attention to the sedans, and leading the way is the Nissan Sentra. 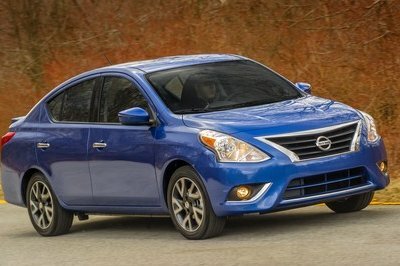 To be fair, the Sentra has far fewer issues than the other sedans that made this list. It handles relatively well, and it has a spacious interior for its class. But the ride remains stiff, and it doesn’t accelerate off the line as quick as a lot of its rivals. 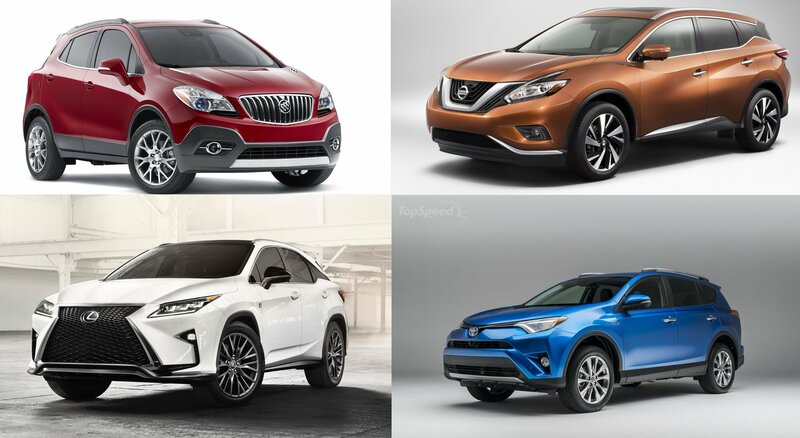 The issues aren’t enough for us to throw a red flag on the sedan, but it is concerning that Nissan’s most popular model found its way on this list. That should at least set off some warning lights on your head. Oh, look, another Nissan sedan is on this list. Joy of joys. I was tempted to just skip over the Versa Sedan because it really is a mediocre car. The interior is cheap and noisy. The handling is sub-par. The ride is stiff. I could go on with all the things that ail the subcompact sedan. But I’ll stop here because it does have a trim – the Versa note – that offers much better for the price you’re going to have to pay for it. I was actually surprised to see the Acura ILX on this list because I thought the sedan’s recent update addressed a lot of its shortcomings. Apparently, Consumer Reports still isn’t impressed with the sedan because of what it describes as continuing issues in handling and comfort. 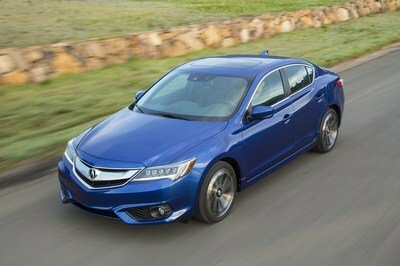 According to CR, the ILX’s ride is jumpy and the handling is sub-standard. It also suffers from a rebellious gearbox and a confusing infotainment system. It’s a pity because the new ILX actually looks good from a design point-of-view. Read our full review on the 2017 Acura ILX. For the record, I don’t think the Fiat 500 belongs in this list. I’ve driven one a handful of times and I enjoyed it, at least for the most part. 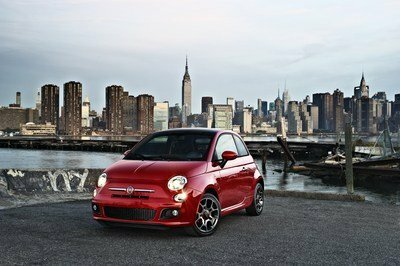 Sadly, Consumer Reports doesn’t share the same optimism about the 500, which is described as having a choppy ride, an awkward driving position, and a noisy interior. I will admit that the ride wasn’t on the level of a luxury car, but shouldn’t that be expected for a pint-sized hatchback? Well, it’s not my list so I really don’t have a lot of say in the proceedings. Unlike the Fiat 500, this one is an easy call. 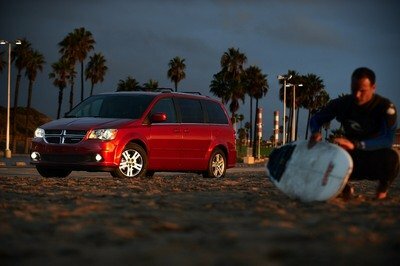 The Dodge Grand Caravan is just bad in so many ways. It suffers from the worst fuel economy rating in its class and it has an interior that can be best described as uneven. It is affordable at just $25,995, but even I wouldn’t spend that much money on a car that’s on its last legs. 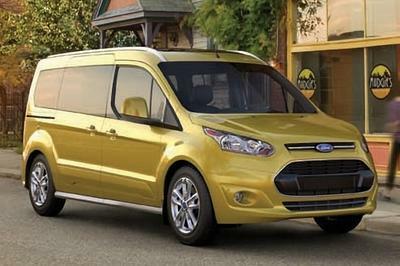 Last but certainly not least is the Ford Transit Connect, the commercial vehicle that has also doubled as a minivan replacement in the past. Unfortunately for the Transit Connect, just because it’s served that purpose in the past, it doesn’t mean it should continue serving the same purpose. The Transit Connect has mediocre fuel economy ratings, has a cheap interior, and an alarming lack of significant features. If you’re going to spend money on a minivan, the Transit Connect isn’t going to offer any more than what it has at its disposal. It just so happens that there’s not a lot of them, to begin with. 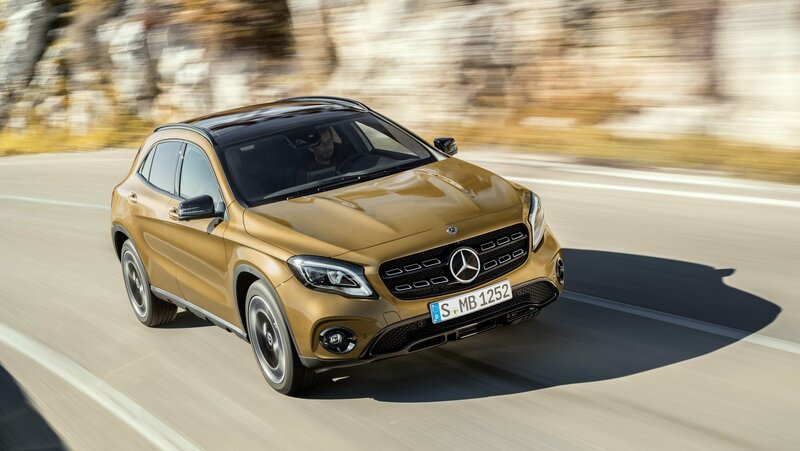 The Mercedes GLA is the toddler of Mercedes lineup, with the first model being introduced as a concept at the 2013 Shanghai Auto Show with the production model following shortly after at the 2013 Frankfurt Motor Show as a 2014 model. With only three years on the market, Mercedes debuted a facelifted model at the 2017 Detroit Auto Show as a 2018 model, which will last until late 2019 when Mercedes is set to debut the crossover’s second generation. 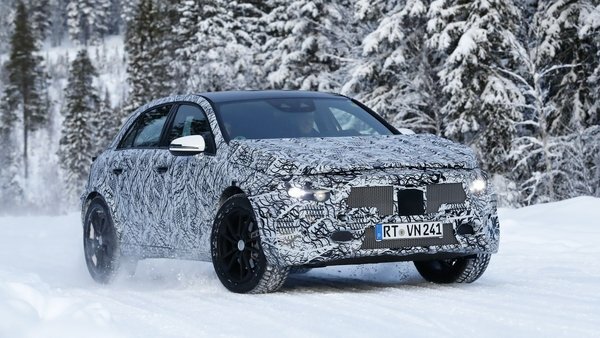 The order books for the facelifted, first-gen model haven’t even opened yet, and it’s clear that Mercedes isn’t wasting any time as we’re looking at a fresh set of photos that show an early example of the second-gen prototype getting its play on in the snow. This prototype is clearly in the embryonic stage of development and is covered in heavy camo all the way around, decoy lights in the front and rear, and some heavy padding, but that’s not enough to conceal the fact that the prototype has a slightly wider track and a little extra ride height. It’s also sporting bigger wheels than what’s offered as standard on the current GLA and should share its platform with the Mercedes A-Class. 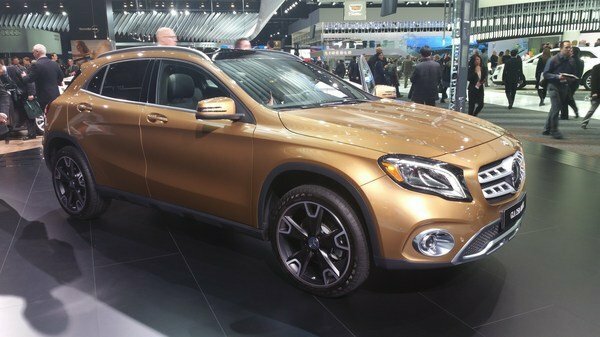 There isn’t much else known about the upcoming, second-gen GLA but as is the case with the current A-Class and GLA-Class duo, it should carry a similar design to the next-gen A-Class and use a majority of the same engines and transmissions too. But, with its debut scheduled for late 2019 at the earliest, there’s still plenty of time for things to change. In the meantime, let’s take a good look at this first round of spy shots, talk about what we can see, and make a few predictions while we’re at it. Grab a hot cup of joe and join me a little farther down the page to get to it. 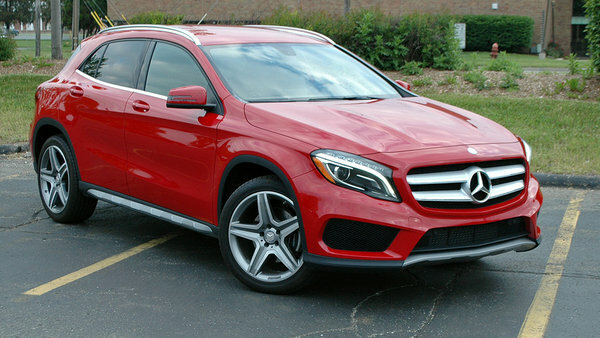 The Mercedes-Benz GLA was launched for the 2014 model year as the company’s smallest crossover to date. Sharing the same platform with the A-Class, B-Class, and the CLA four-door coupe, it’s the SUV equivalent of the A-Class hatchback, which is why it’s wearing the “GLA” badge. Designed to compete with the BMW X1 and Audi Q3, which were launched earlier on the market, the GLA slots below the GLC in the lineup. Powered by four-cylinder engines exclusively, the crossover is available with both gasoline and diesel powerplants in Europe. 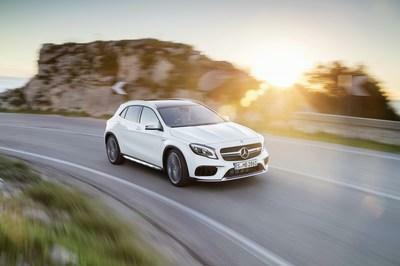 In the U.S., however, only a gasoline mill is offered, alongside the beefed-up AMG version. The GLA received its mid-cycle update for the 2018 model year at the 2017 Detroit Auto Show. Not surprisingly, the facelift is rather mild inside and out. Minor nips and tucks do little to change the vehicle’s overall appearance, while the cabin boasts new trim, upgraded technology, and some new features. Drivetrain-wise, the GLA carries over unchanged, which is a bit disappointing with a more powerful BMW X1 in showrooms. 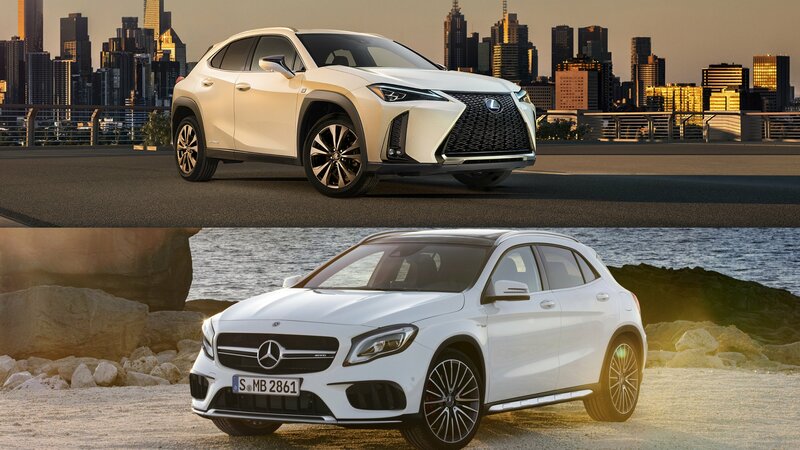 Of course, crossovers need to check more important boxes, and the GLA does that with the revised model, but will it be enough to give the X1 and Q3 a run for their money? Find out in my review below and make sure you check out our photos of the Mercedes-Benz GLA from the 2017 Detroit Auto Show. 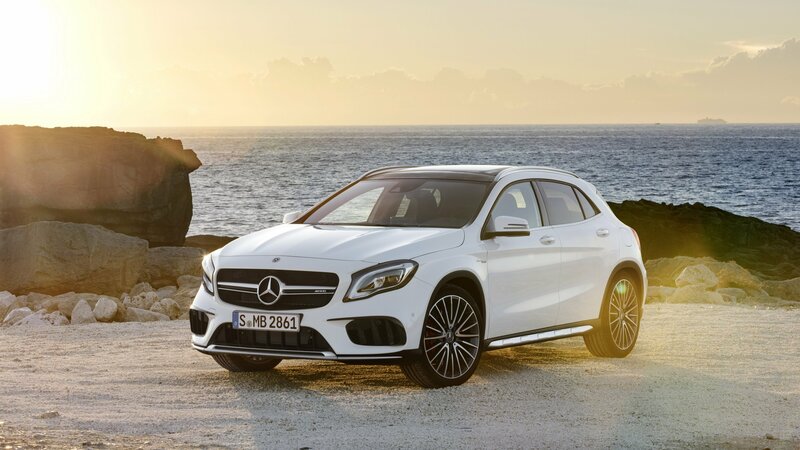 Continue reading to learn more about the 2018 Mercedes GLA. Mercedes-Benz is planning some pretty major updates to the entirety of its product line. 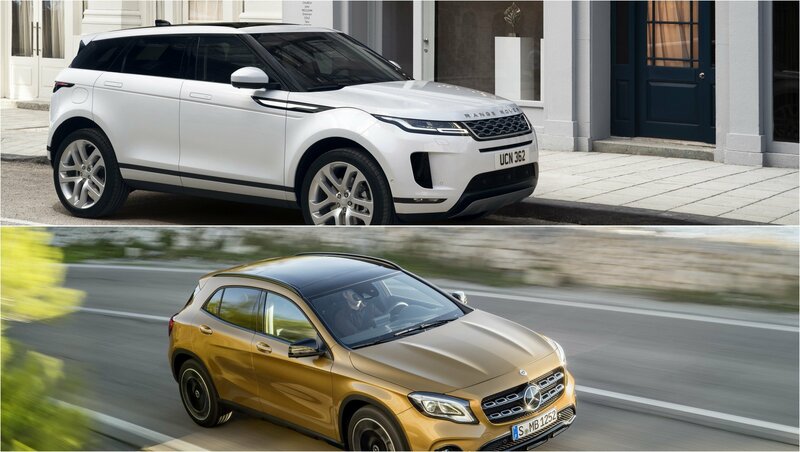 In a bid to fill every nook and cranny of the luxury auto market with some form of the three-pointed star, the company recently announced its intention to release eleven all-new models over the course of the next five years, which is in addition to ten new plug-in hybrids scheduled for release in the next three years. 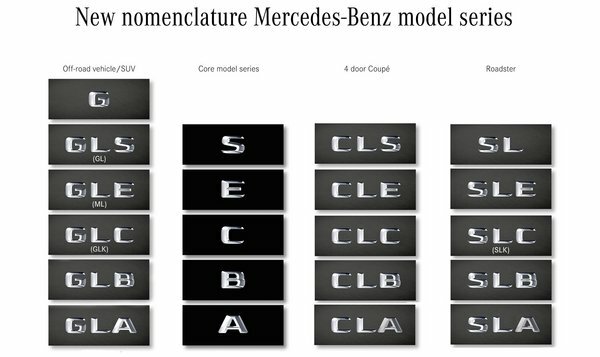 To help sort through the glut of new cars, Mercedes has come up with a fresh nomenclature system that will be applied to all upcoming releases going into 2015. This system differentiates between vehicles via one to three upper case letters, which designate the car type (“GL” for SUVs/off-roaders, “CL” for four-door coupes, “SL” for roadsters, etc.) and core model series (A, E, S, etc. ), plus lower case letters for the drive system (“d” for diesel, “h” for hybrid, etc.). With this information in hand, we can breakdown the future model lineup with relative confidence, filling in the gaps as we go. What new models will we see coming from Mercedes? Read on to find out. Click past the jump to read more about Mercedes new naming strategy. Filling the Gaps: Mercedes New Naming System Analyzed originally appeared on topspeed.com on Friday, 5 December 2014 14:00 EST.